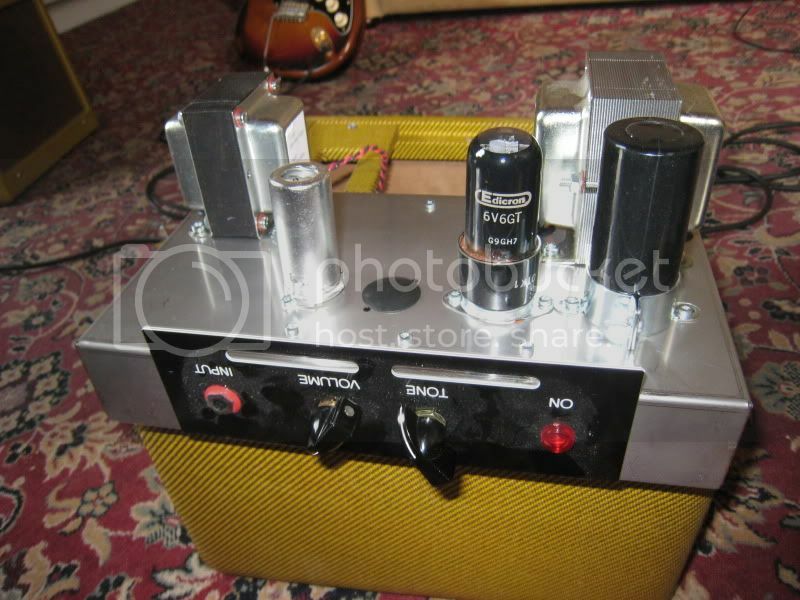 Posted: Tue May 11, 2010 1:13 am Post subject: Tokai tube amps? 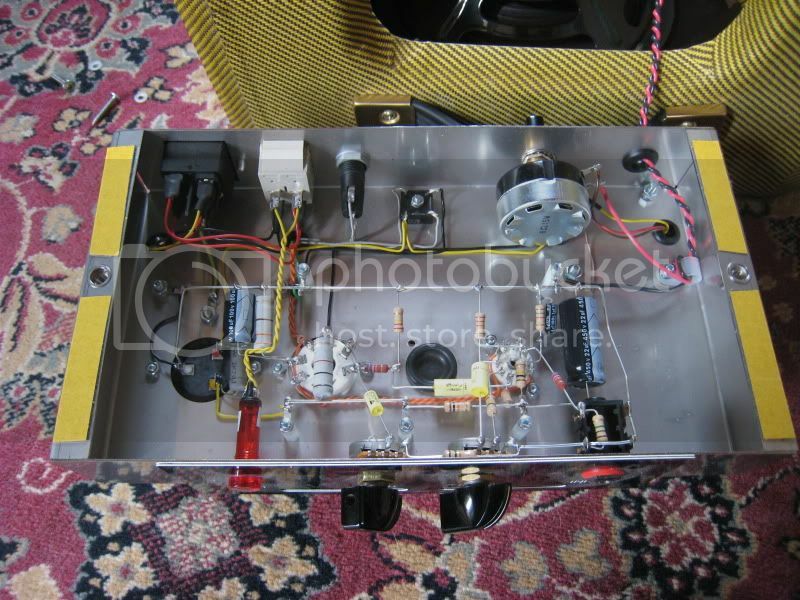 Has Tokai ever made any serious large size tube amp before? I was just always wondering this. 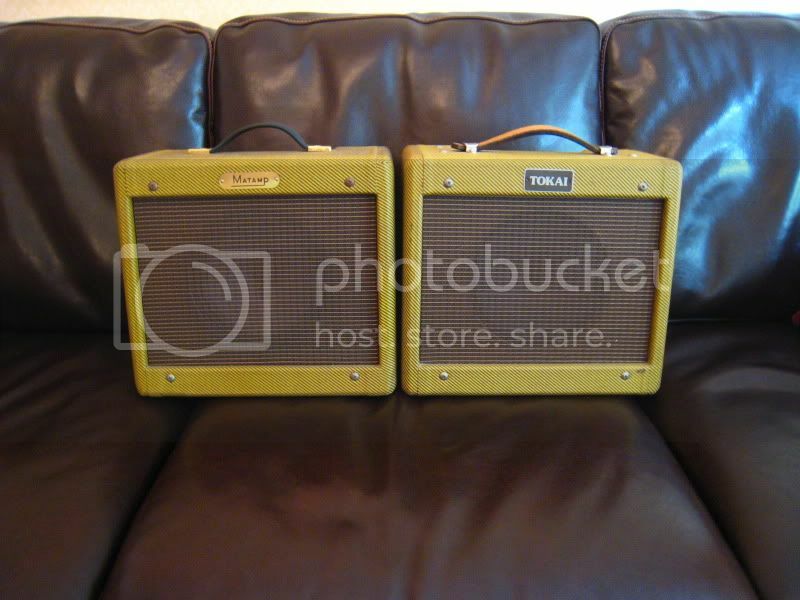 Posted: Tue May 11, 2010 10:29 am Post subject: Re: Tokai tube amps? Nope... not to my recollection, anyway. The little solid state tweed Champ style combo is the only one I'm aware of. 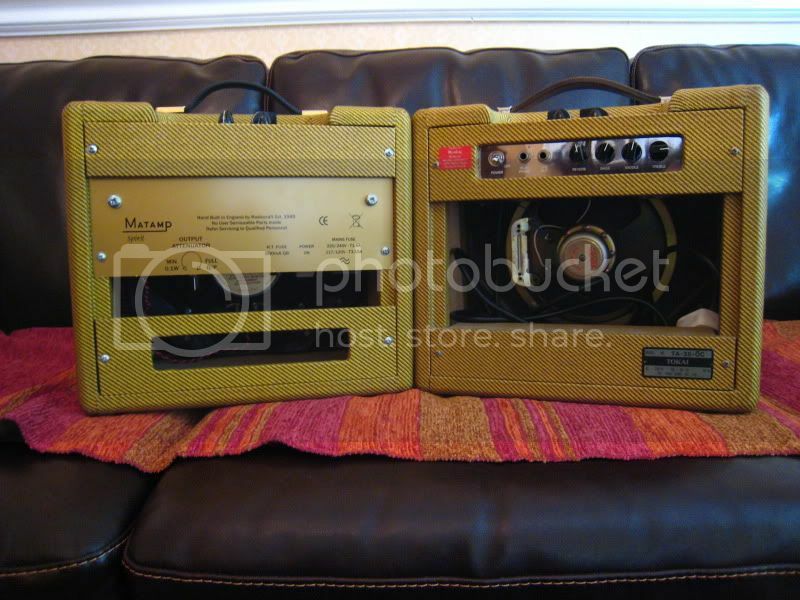 Looks like it but the ones I've seen have tweed tolex on it..... not bare wood. Perhaps this one was stripped and finished. Yes, that ones been stripped. The look much bigger in the pictures thay are only 12" square, sound great though, transistor or not! Tokai UK used to have a small valve amp on their website with the statement - Coming Soon !! They were however being made by Matamp at their factory in Huddersfield. Could well be they were rebadged and are now for sale in Canada and the UK as a limited run. Definitely a Tokai cab, very cool looking little amp! Just seen one of these in the flesh at the Northern Guitar Show, Haydock Park today - very nice indeed. The story I was given was that Tokai Uk imported New Old Stock Tokai TA-35 Cabinets and had Matamp put a Valve amp into them. They had a Matamp metal plaque on the front above the speaker, but Tokai etched into the control panel on the top. On the back stuck on was was a Tokai, Musical Instruments of the World black panel with white lettering. There are two versions, one has reverb and the other has an attenuator. Alas I couldn't resist !! One is on it's way to me right now !! I've put an alnico celetsion speaker in the Tokai and at present it's the better sounding of the two for the clean tone! Nice boutique point to point wiring ! Very classy, clean wiring - nice junction points. That is a very nice looking amp. Great simple, clean lines. Yeah, the simplicity of the wiring and electronics is a thing of beauty. Like looking at the engine of a 65 Mustang compared to the current model.